The Star Bangle Banner, American Flag-waving picture perfect families, and homemade apple pie are just a few of the many positive pro-country images that come to mind for me when I hear the words “America” and “Americans”. Pride for my US Army strong father and aunt who protected our country through years of military service, unwavering dedication and sacrifice for family possessed by millions of hardworking Americans every day, and indisputable patriotic loyalty to country make up everything it means to be American for me. Although our country has many areas in need of improvement that I could write several of my own books about, my heart with always bleed red, white, and blue but the same could be said for the majority of Americans. The real question whether pondering is what constitutes America’s appearance and reputation when you’re not an American “loyalist” indoctrinated with love for Uncle Sam since birth, what would your opinions of America and its countrymen be then? 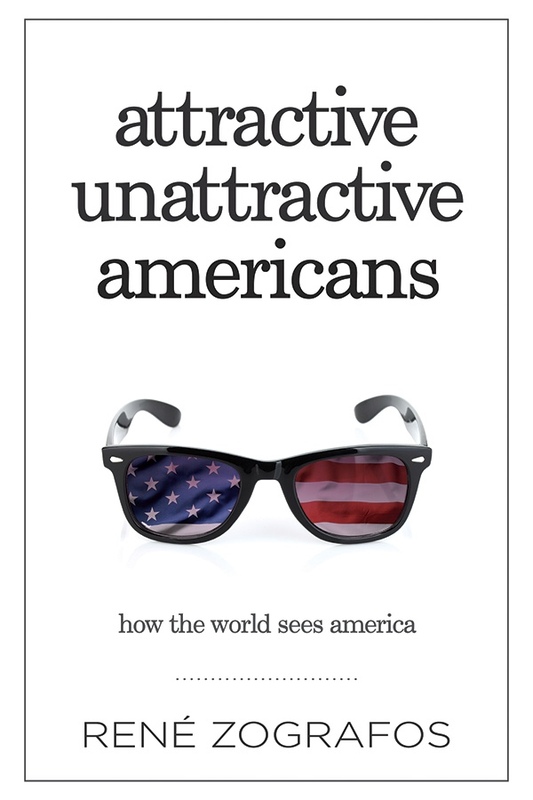 Answers to the previous mentioned question has recently been uncovered by award winning Norwegian author René Zografos in his latest novel, Attractive Unattractive Americans: How the World Sees America. The veteran journalist spent seven years interviewing people from seven continents to expose the U.S.A.’s global reputation by documenting the voices of thousands of people from around the world as the reveal their opinions of Americans and the country they live in, and let me tell you, it’s not so pretty. Thankfully it’s not as bad as you might believe given all the hype the American media puts into broadcasting foreign hatred and loathing by US adversaries but reading through Zografos’s novel you’ll find that the positive imagery conjured in my Pro-American mind isn’t so easily summoned in the minds of our other brethren’s across the pond. Throughout the novel the overall tone is the same when it comes to the world view of America and Americans, that we are a nation of obese, obnoxious, and money-hungry inhabitants that think the world revolves around us. We dilute ourselves with the belief that we still lead the world in nearly all categories (health, education, finances, infrastructure, etc…) and we’ll reign hell-fire on anyone that says otherwise, facts and statistics be damned. Sadly, even as in love with America as I am, I have to say that I very much agree with that opinion even through my crimson & navy tainted lenses. For the most part other nations have a pretty accurate view of the issues America and its countrymen face. I’ve always carried a little guilt for holding such an opinion but after reading Zografos’s novel I’m left with wonderful affirmation that I do genuinely love my country, but my love/hate relationship with the US is appropriately based in on having an informed view of its faults and choosing not to turn a blind eye to them which is a good thing. The common thread throughout the book that still echoes in my mind on a near daily basis was the obnoxious, boisterous, and egocentric American personalities not commonly found in other countries, particularly due to the fact that while reading this very novel I was in the middle of a 6hr bus ride from Tennessee to Mississippi for hours on end a woman would LITERALLY shout nearly every 30mins to fellow passengers that it was her birthday weekend and she was ready to celebrate! It was a party bus headed to Tunica, MS for a weekend casino gambling trip so the ride up was supposed to be rowdy in nature but the particular rider was absolutely ear-aching and nerve wrecking without an ounce of humility or regard for other passenger’s experience, even at 1am as the bus made its way back home. I’m also reminded of Zografos’s novel when I hear my neighbor’s obnoxiously loud bass-blasting car as the pull into their parking spot in front of my daughter’s bedroom at 12am that’s shaking her walls and threatening to wake her up nearly every single night. As mentioned before, Attractive Unattractive Americans: How the World Sees America isn’t made up of only negative views of Americans from outside perspectives. There are many positive views of Americans such as our hard work ethic, manufacturing superiority when producing American-Made products, and our unparalleled humanitarian efforts when it comes to helping war-torn and nature ravaged countries that many around the world see as sole American traits that would make us all proud. Foreigners have even volunteered numerous helpful tips to getting America’s image back to the shinning glory worldwide that we hold at home by returning to our manufacturing roots, working less, valuing less materialistic accumulations, and reigning in our waistlines with healthier eating habits because they do actually want to see us succeed, but the bottom line is we just have to open our eyes, LISTEN with our ears, and get out of our own way. I would highly recommend René Zografos novel to anyone, particularly Americans that believe America is home of the great and land of the free, but recognizes that America too can improve and that there ACTUALLY is a blue print in order to do so. *** Follow René Zografos on Facebook, Twitter, Instagram and the Attractive Unattractive Americans: How the World Sees America Tumblr!